Not enough time in the day to get out on the water this past weekend. However, FFPA was able to do an instruction course with up-and-coming angler - JoAnn. Even though it was her first time with the fly rod, she got down the standard single-haul in no time. Some knot tying and entomology rounded out the day. With a little practice and time on the water, next thing you know JoAnn will be fishing the trico hatch on Tully. If you are a beginner who is looking to enhance your skills - send us an email. Lots of angler activity on the Tully Saturday morning. Most were fly guys, but a few spin were mixed in. This is an impressive SE PA stream that can be a lot of fun this time of year. Most anglers reported catching the holdover fall plantings. These fish are now in the 9-10" range. 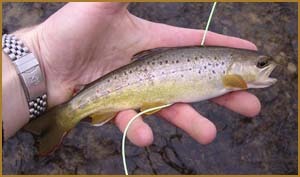 Water temps were still in the low 40s and you should look for the best hatch activity during the heat of the day. Also, on Saturday TCO had their Spring Open House. Along with the raffles and trout talk was a presentation on PA's Delayed Harvest program, by local angler Doc Pucinsky. Doc's presentation mainly focused on the Tully, which has been a great success. It was also great to chat with previous clients and new ones for 2004 - it is always fun to share fish stories. One half of FFPA recently made it out west for some skiing and relaxation. However, there is always time to hit a near-by fishery. With some extremely warm weather - the decision to hit the Eagle was an easy on. Lots of pocket water made for some fun nymphing. Conditions were a little tough due to some run-off and very slippery rocks, but persistence and a size 12 caddis larva did the trick. Three fish come to hand along with many more fish being moved and all this took place within 100 yards of a newly built shopping/condo/ hotel complex. Amazingly enough not a sole was seen on the river. 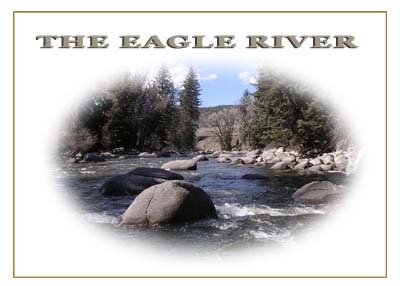 If you are ever in the Vail Valley, you must give this stream a try. Check-out the close proximity to the walking path. 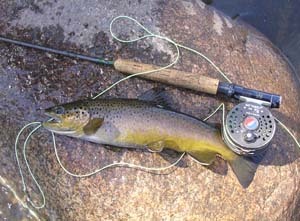 Your average size Eagle River brown. Back here in PA things are starting to look up. We have a clinic lined up for this weekend. And if the flows come down a bit we may even get out to wet a line. 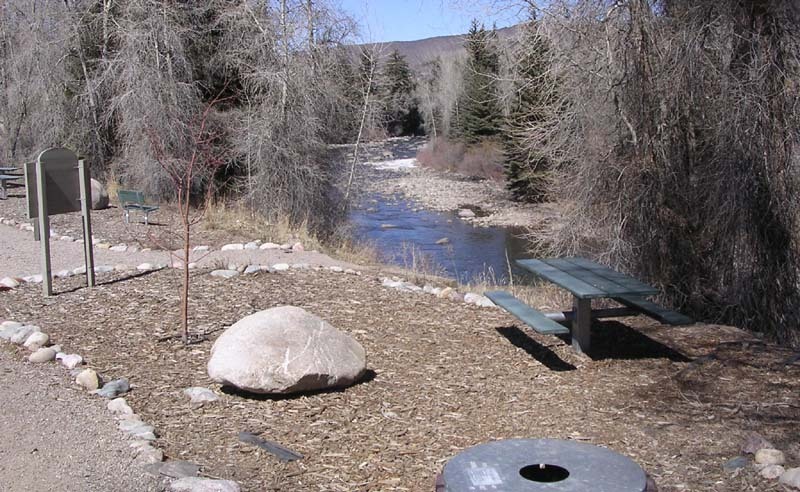 Word is the Olives are coming off on Spring Creek, the caddis should soon be popping on both the Tully and Valley and Opening Day is around the corner. 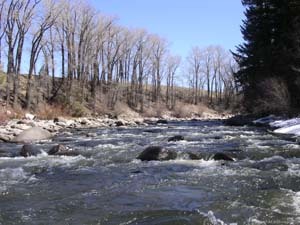 Before then though, we can get some of the best dry fly action of the year - in the April Greys. Olives, blue quills, quill gordons and the hendricksons. 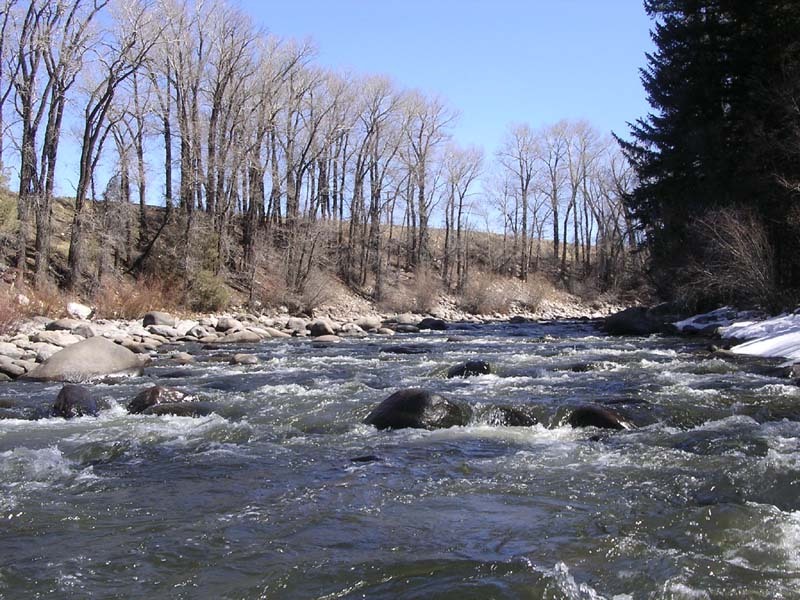 This is the time of the year a fly fisherman can really get pumped - especially after a lingering winter like we are having. And did I say shad and stripers and the start of the salt season! We are booking float trips now for both the Lehigh and the Susquehanna. And be sure to check out our package deals. show from earlier this year. 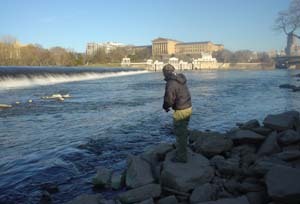 word is stripers are in the Delaware along with the staging of the shad. And they do like to hang in some pretty urban areas. For those willing to put in the time, trout are being brought to hand. But you will most likely need to get down in the deeper runs and holes to have an effective outing. The early season BWOs seem to be hatching in full force on the streams that have decent populations. 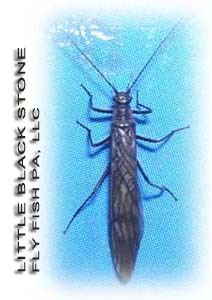 Also, little black stones have been skittering about during the heat of the day over at Ridley. Some fish have been rising to them, but for the most part they are hunkered down and relatively lethargic. The fly stretch was recently stocked and on Sunday it showed it since it was getting hammered pretty good. Try to get your imitations down deep, and keep a sharp eye on your leader for those subtle takes. The flows currently on our local SE PA streams are perfect. We can't say the same about the streams in the central part of the state. It is gonna take a while for them to settle down. More cold is on the way so we may be in for a little setback in the progression of the season. Shoot us an e if you have any questions about our services. A small SE PA native. The season has begun. 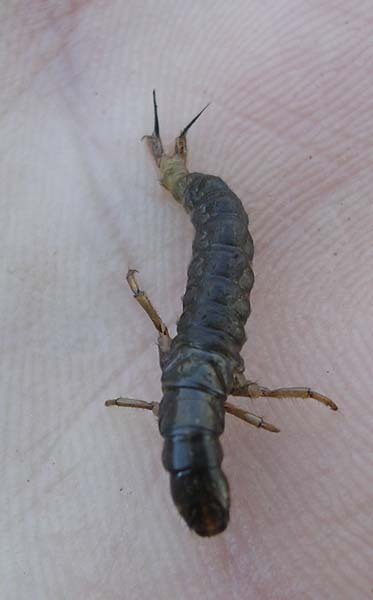 A smattering of insects have been hatching on the most streams throughout the state over the past few weeks - during a little pre-runoff activity. Mostly it has been small olives, little black stones and some midges. However, it now looks like the snowmelt is beginning to have an effect on the ridge and valley streams in the central part of the state, but the lower elevation streams, where the snow is pretty much gone, should be fine - that is until some more wet weather moves in. We have some new web-enhancements that have taken place over the off-season or maybe since you last checked. Recenly added to the site is a section called Featured Streams - check it out to get the scoop on some of our favorite waters. Also, take a look at our package and special deals we are offering during the '04 season ...these include just ONE SPOT REMAINING on our Penns Creek Weekend, May 1-2. We are also taking reservations for our annual TCO Spring/Penns Creek Trip - May 23-24. If you are interested in this trip, contact TCO to reserve a spot. 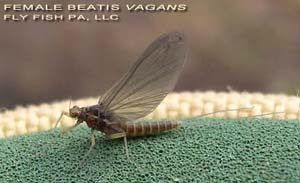 Float and wade trips on area streams and rivers along with another Penns Creek Weekend - June 12-13 round out the Spring Season for us. Book early, prime dates are filling up. If you are interested in a trip, have a question or just want to discuss fishing, feel free to contact us at info@flyfishpa.net.